If you're in New York, the Museum of Chinese in America invites you Water to Paper, Paint to Sky: The Art of Tyrus Wong, an exhibition of celebrated painter, muralist, kite-maker, lithographer and calligrapher Tyrus Wong and his extraordinary body of work. It opens March 26 and runs through September 13. In celebration of the Museum’s 35th anniversary this spring, MOCA is proud to present Water to Paper, Paint to Sky: The Art of Tyrus Wong. Celebrated painter, muralist, kite-maker, lithographer and calligrapher, Tyrus Wong is one of the greatest Chinese-American artists of the 20th century. This highly anticipated exhibition showcases his extraordinary body of work including Disney’s iconic American children’s classic, Bambi. Water to Paper, Paint to Sky: The Art of Tyrus Wong is organized by The Walt Disney Family Museum, San Francisco, CA. If you're a member of MOCA, there will be an exclusive members preview on March 25. The exhibition officially opens to the public on Thursday, March 26. 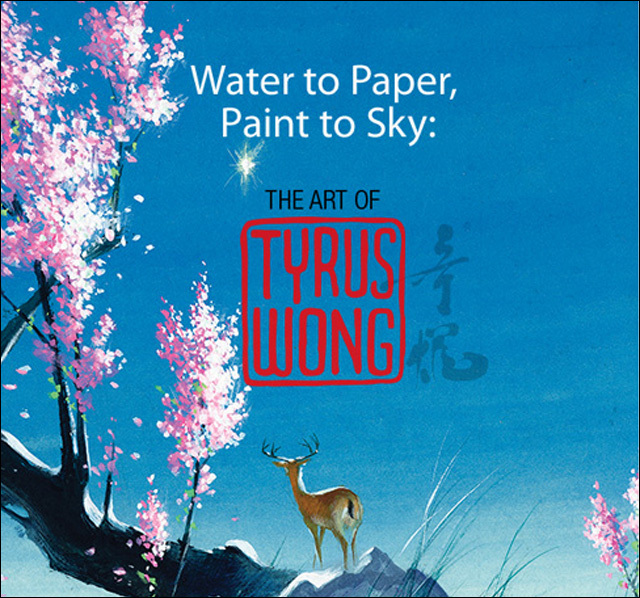 For further information about Tyrus Wong and "Water to Paper, Paint to Sky," head over to the MOCA website.